Cream Cheese FrostingThis is my ALL TIME favorite cream cheese frosting. 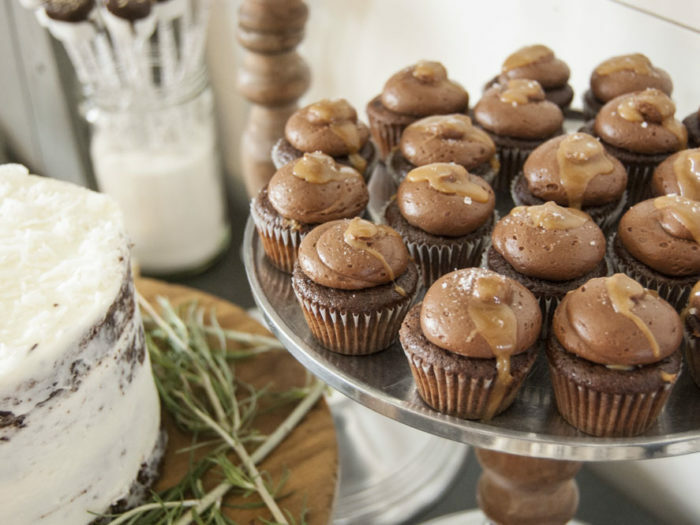 From coconut to caramel, this recipe is an ideal base for unlimited frosting or icing flavors. I love that it's not overly sweet and it can be used on cupcakes, cakes, cinnamon rolls, cookies, and anything else you feel needs a dab of icing. Like carrots, or celery, or spinach. . . 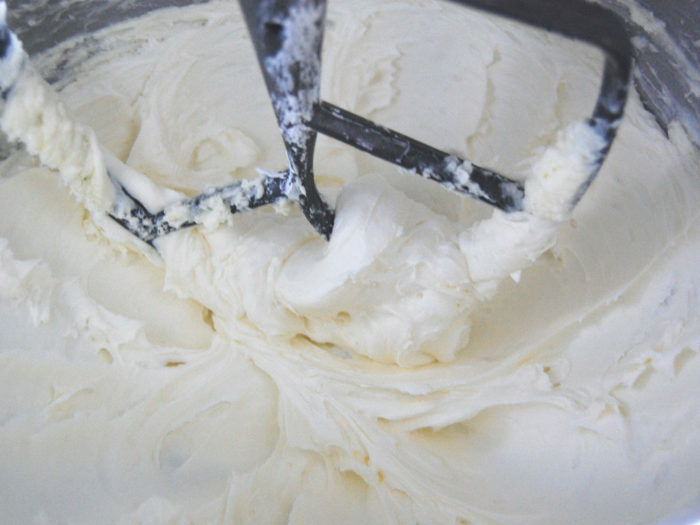 This cream cheese frosting will be hard to beat. Chocolate Buttercream FrostingThe PERFECT consistency for frosting cakes and cupcakes, I use this no-fail chocolate buttercream frosting recipe ALL THE TIME! It pairs perfectly with dark chocolate ganache, raspberries, peppermint, caramel and a hundred other flavor combinations. Your guests will love my perfected chocolate buttercream frosting. Raspberry Swirl CupcakesHands down that the Raspberry Swirl is the MOST POPULAR cupcake for summer weddings. 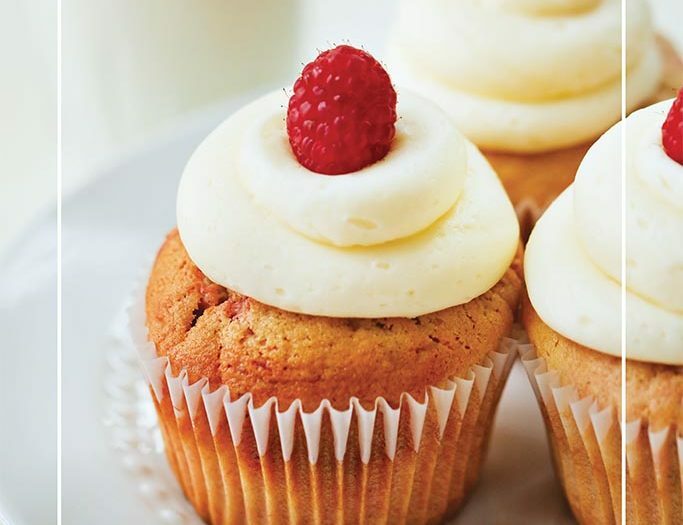 Moist vanilla cake and fresh raspberry puree swirl together to create a marbled incredible cupcake. No one can eat just one. Recipe below! Chocolate Coconut Almond CakeInspired by Almond Joy's, the chocolate coconut almost cake recipe is adapted from Laurie and Amy's Amazing Chocolate Cake from the fabulous blog A Bountiful Kitchen. I live in a dry climate at a high altitude and this cake turns out amazing every time. People always ask if I use the same recipes for cakes as I do for cupcakes and the answer is ABSOLUTELY NOT. Well, most of the time, there are a few exceptions but this is not one of them. 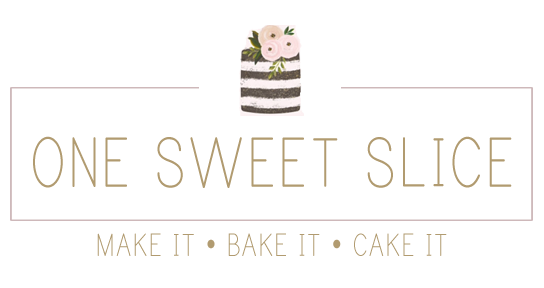 Keep the cupcake recipes to cupcakes and the cakes to cakes and you'll bake just fine. 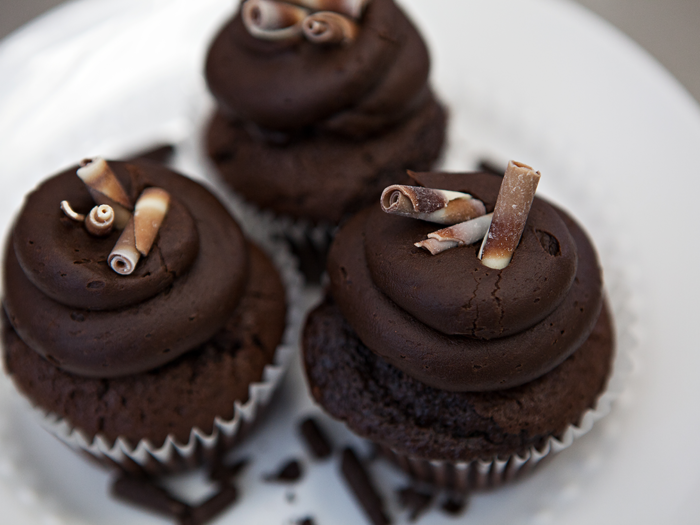 Chocolate Cupcake RecipeThese chocolate cupcakes are unbeatable. 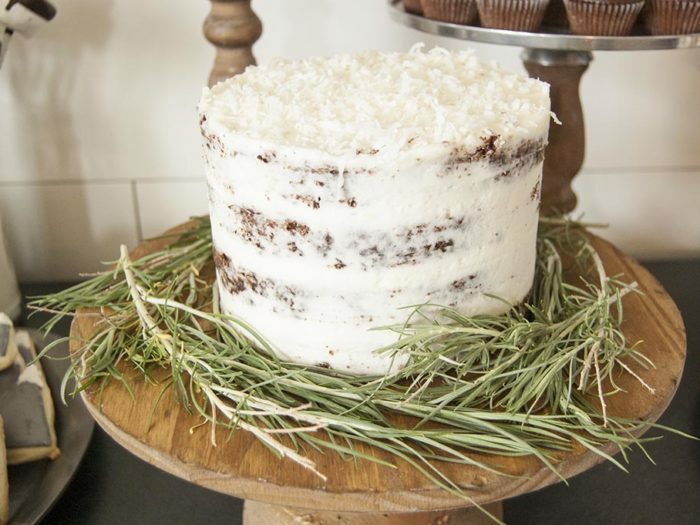 Made with melted dark chocolate and cocoa powder, this cake is rich, moist, and not too sweet, making it the ideal match for dark chocolate ganache, smooth chocolate buttercream, and layers of fillings and garnishes. Easy Chocolate Chip CookiesThis recipe was given to me by my neighbor Brooke. These cookies are moist, chewy, and full of chocolate chips. 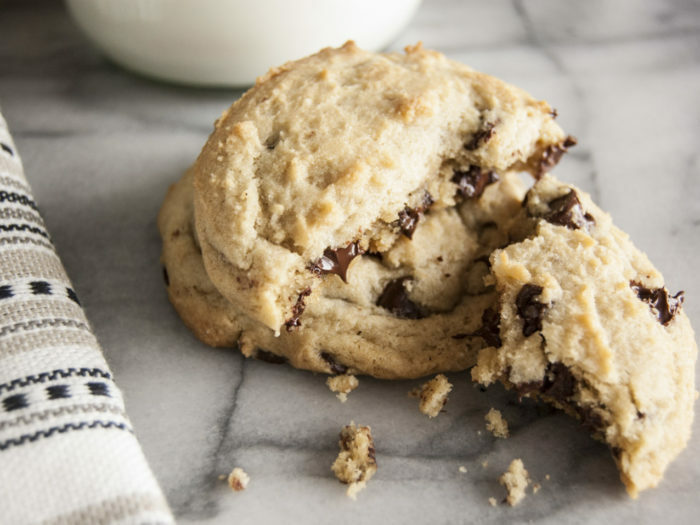 A stellar combination for the BEST chocolate chip cookies. Ever.